Place a big pot over medium heat and cook the chopped leeks, celery and garlic until soft. Add oregano, salt, pepper and chicken stock, turn up the heat and when it starts to boil turn the heat back down and let it simmer for 10 minutes. 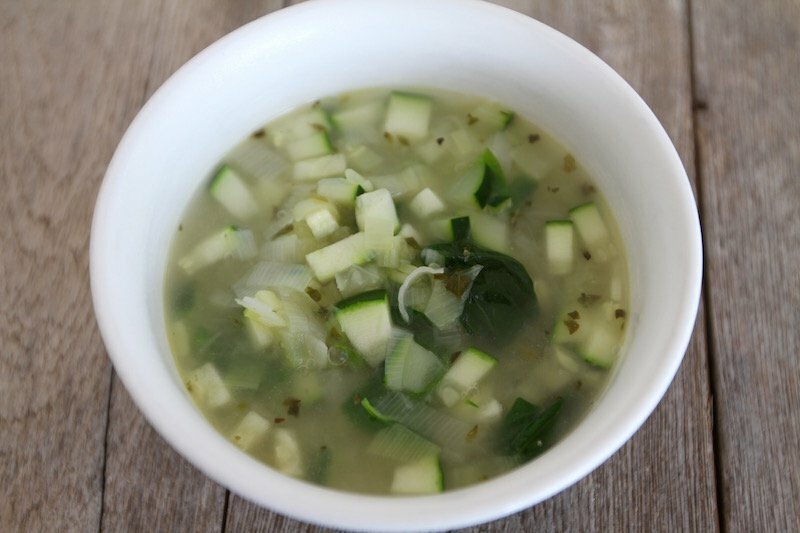 Add the diced zucchini and basil leaves and cook for another 5 minutes and the soup is ready to be served.